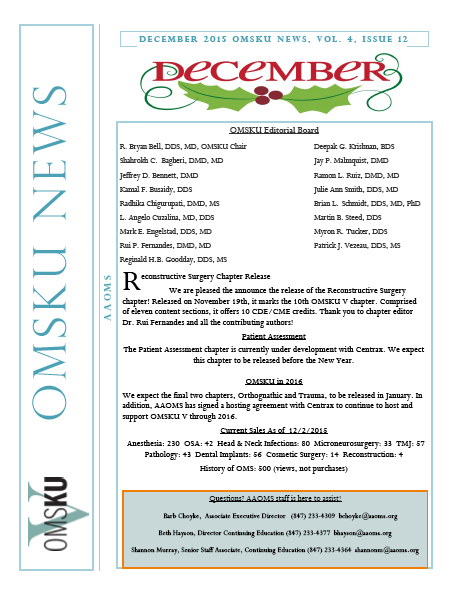 Dr. Bagheri serves on the editorial board for the OMS Knowledge Update: a publication by the American Association of OMFS. We are pleased the announce the release of the Reconstructive Surgery chapter! Released on November 19th, it marks the 10th OMSKU V chapter. Comprised of eleven content sections, it offers 10 CDE/CME credits.